Sodexo Amata Services Limited, a joint-venture between Sodexo Thailand, the France-based global leader in integrated facilities management services that improve the quality of life, and Thailand’s leading industrial estate developer Amata Corporation, which provides one-stop integrated facilities management services to companies in Amata Nakorn and Amata City Industrial Estate, is stepping into the second year of operations. In its first year of operations, the company secured contracts worth a combined 30 million baht, and expects the number to increase to 110 million baht in 2017. Mr. Arnaud Bialecki, Country President, Sodexo Thailand and Director, Corporate Services - Thailand, Vietnam and Philippines, said: “Sodexo currently operates in 80 countries and serves 75 million consumers each day through more than 100 services developed over 50 years of experience. The company has been operating in Thailand for over 12 years, delivering first-class integrated Quality of Life services to a broad range of clients including hospitals, hotels, educational institutions, private companies, remote / off-shore sites, and real estate. We have established a strong presence in Thailand with many leading companies. Therefore, we are confident in the great potential of Sodexo Amata Services Limited to deliver best value solutions for clients in Amata Nakorn and Amata City Industrial Estate. 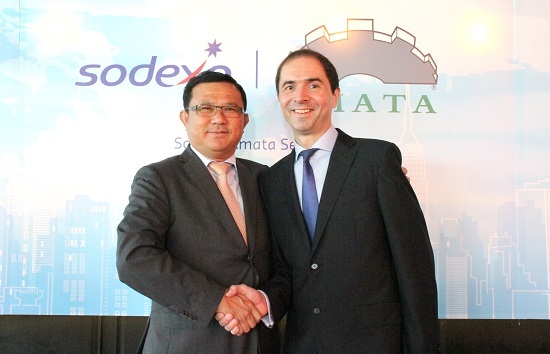 Since its debut, Sodexo Amata Services Limited has been entrusted by more than 20 leading companies such as Sumitomo Electric Wiring Systems (Thailand) Co., Ltd., Essilor Optical Laboratory (Thailand) Co., Ltd. and Thai Maeda Corporation Ltd. to provide them with technical facilities maintenance, security, and housekeeping services. We offer one-stop integrated services, whether on a one-time basis or an annual retainer basis. Clients don’t need to contact suppliers by themselves so they can efficiently control their costs while receiving unparalleled services that are on par with international standards. another way to provide benefits for clients in the Amata Group’s industrial estates. After the opening of AEC, Thailand has attracted a number of both foreign and domestic investors looking to set up or expand their businesses in the country. Meanwhile, we have services that can meet their needs perfectly while promoting the image of Thailand's industrial sector. At present, Amata industrial estates have more than….......tenants in various areas of business, and the number is increasing every year. During the first year of operations of Sodexo Amata Services Limited, we have seen significant improvement in quality of life of people working for companies in our industrial estates as our services help create a more comfortable and convenient work environment for them. And business owners are happy to see improved staff performance. I believe that our commitment and attentiveness to clients’ needs together with our strong relationship with Sodexo Thailand will help drive the company’s growth forward. However, we are committed to providing our clients with five key benefits including one-stop service, reliability, cost control, fast response available 24/7, 365 days a year, and high quality on par with international standard." Amata Facility Services Co., Ltd. or AFS takes care of common area in both Amata Nakorn and Amata City Industrial Estate. AFS does more than rent, lease and sell property for the creation of factories and offices. 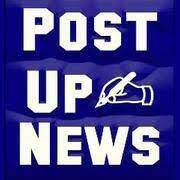 The company aims to provide a full range of services to customers both outside and inside the fence. AFS offers integrated services to cover customers’ demands including waste management service, landscaping service, fire training service, advertising service, office care and maintenance service, land rental service, and etc. Founded in 1966 in Marseille by Pierre Bellon, Sodexo is the global leader in services that improve Quality of Life, an essential factor in individual and organizational performance. Operating in 80 countries, Sodexo serves 75 million consumers each day through its unique combination of On-site Services, Benefits and Rewards Services and Personal and Home Services. Through its more than 100 services, Sodexo provides clients an integrated offer developed over 50 years of experience: from reception, maintenance and cleaning, to foodservices and facilities and equipment management; from Meal Pass, Gift Pass and Mobility Pass benefits for employees to in-home assistance and concierge services. Sodexo’s success and performance are founded on its independence, its sustainable business model and its ability to continuously develop and engage its 420,000 employees throughout the world.